Everyone is already envisioning 2015. How do I make it different, better, bigger, bolder? What are my goals? Will I be able to succeed in reaching them? 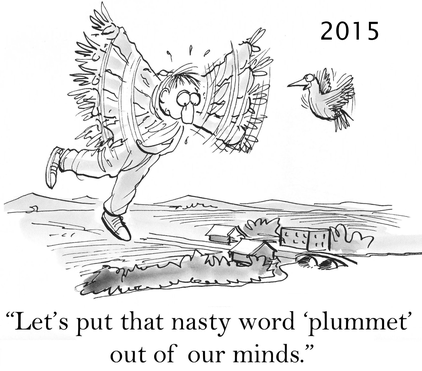 Will 2015 be different? If I put something down as a goal, will I hate myself if I don’t get it? I will tell you right now. Stop asking the questions. The secret is in the feeling. Let’s start with a method. Many people have heard of vision boarding and use it in the envisioning process, but in case you have not, review the definition. Vision boarding is the process of creating a vision board. A vision board is a visual (often a collage) of the things you want to have, be or do in life. The term vision boarding has become just another over-used one. That’s unfortunate. The process of vision boarding is one I’ve worked on for years to perfect. The key is figuring out the feelings before you even start the work. How do you feel about what you are putting on your vision board? Making the seemingly impossible possible is a process. It is also a matter of putting feelings over intellect. If you don’t feel it, it is probably a “should” (as in “I should do this, but I’m not really invested in it”) not a “want” (as in, “I really want to do this…I am motivated.”) My question to you is, do you know the difference when it comes to envisioning and setting your goals? Here’s a hint. If the goal has been on your list for more than two years and you call it a short-term goal, you probably didn’t really want it in the first place. Someone else may want it for you. Great, let them put it on their board. What’s left after you remove the old “should” stuff? Anything? More “should” clutter? Nothing? Now you are at the start line. From this point on, the envisioning process is very much like free journaling. You must give up control. It sounds a bit trite, but be childlike. It is all about the feeling of what it will be like at the end. If the feeling is not what you want, then you really don’t want the thing. The only difference between you and the child is experience. If you are happy on a path, grow it. If you are not happy on a path, veer off to another course. The Healthy Zone provides workshops designed to help you throughout your envisioning process. For more information visit the workshop page.